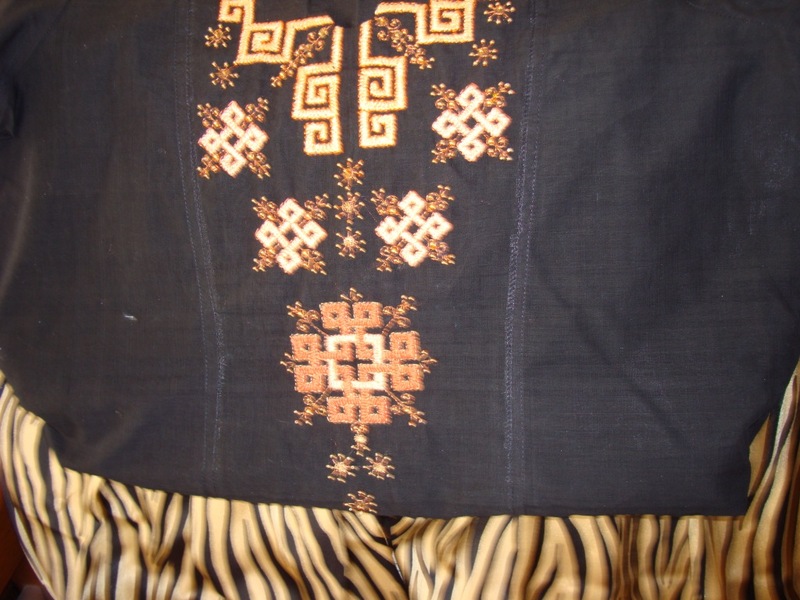 I bought a synthetic fabric with black and gold stripes which looked like glossy tiger’s skin. 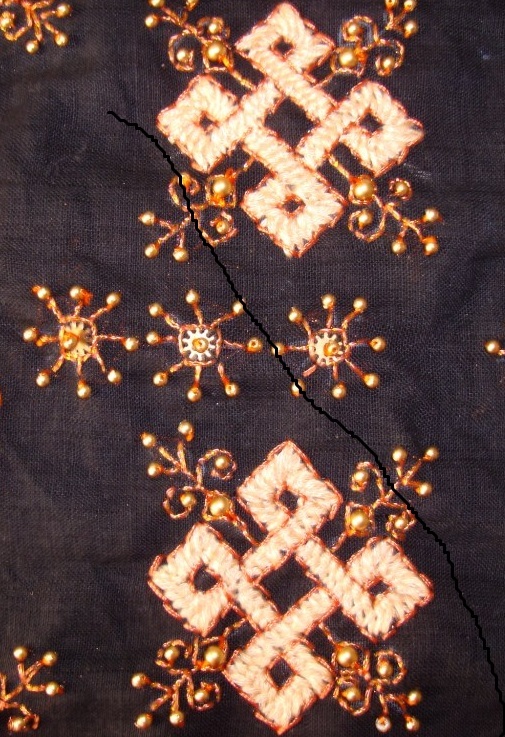 The picture of the fabric is not available. 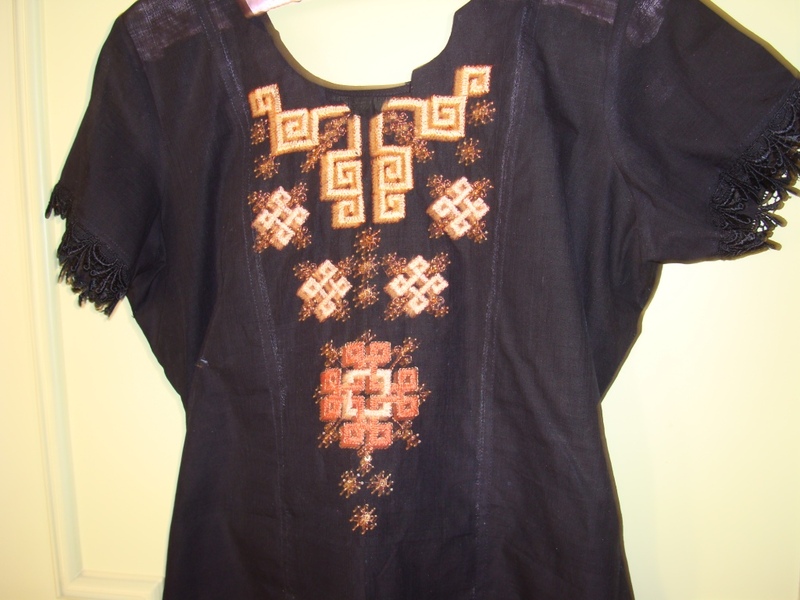 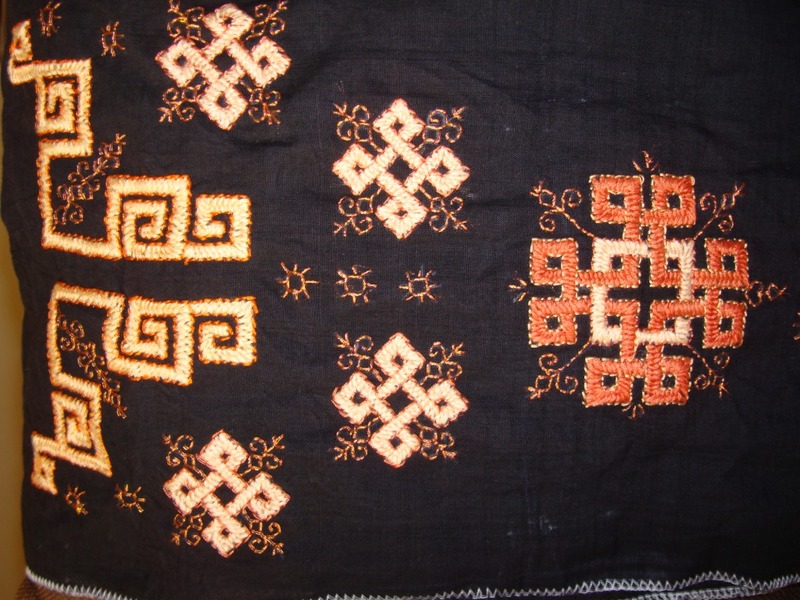 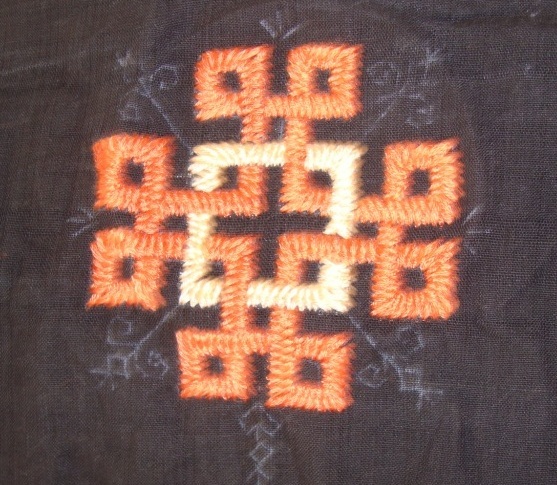 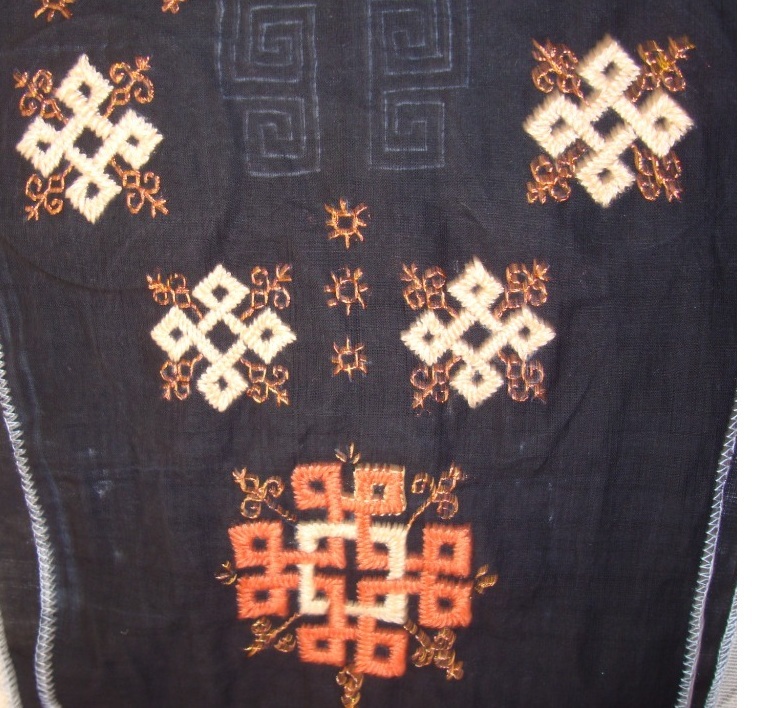 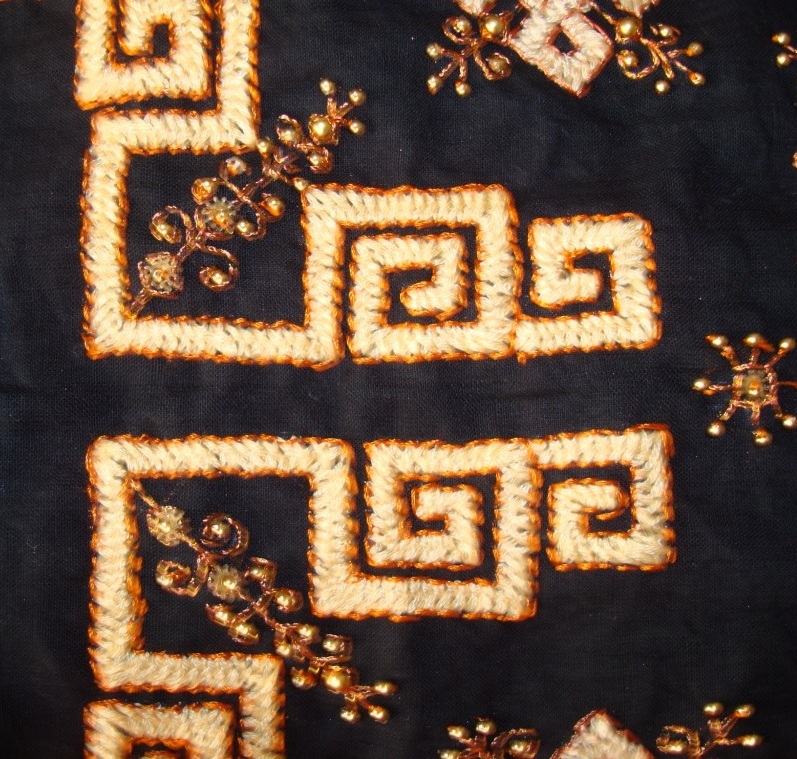 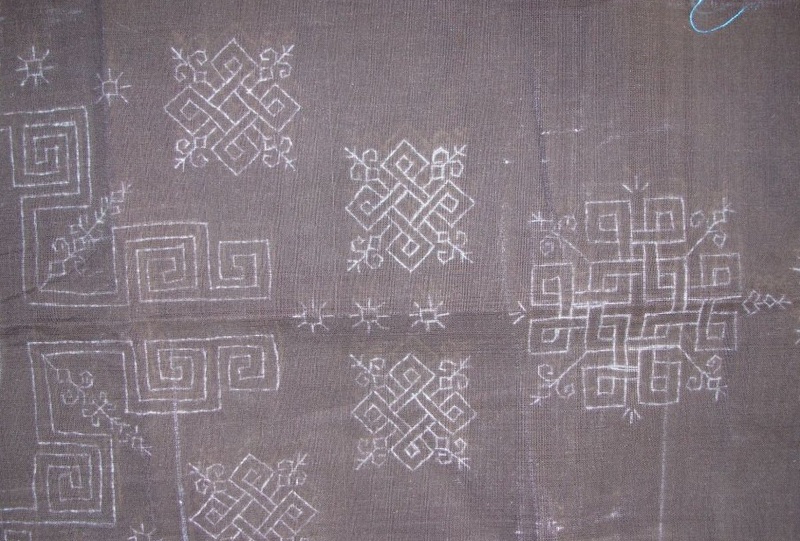 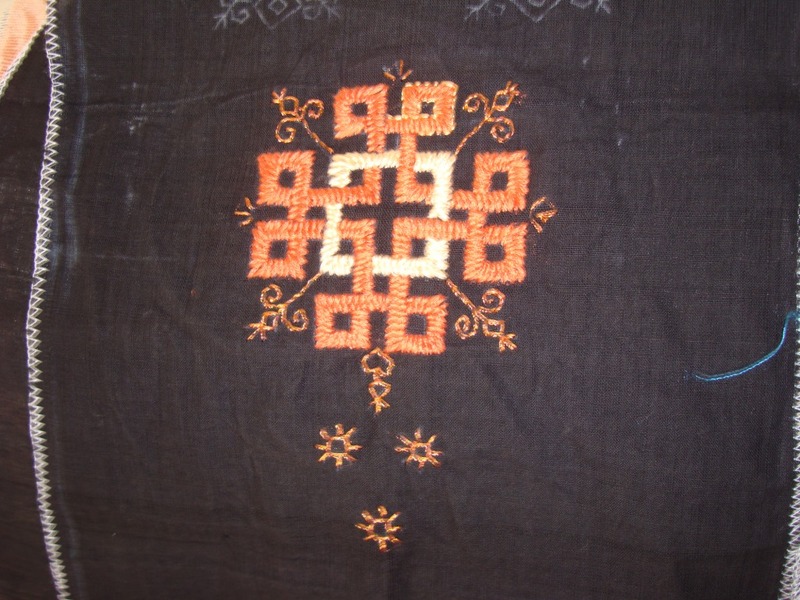 for this , a black handloom mangalagiri cotton fabric was chosen for the tunic. 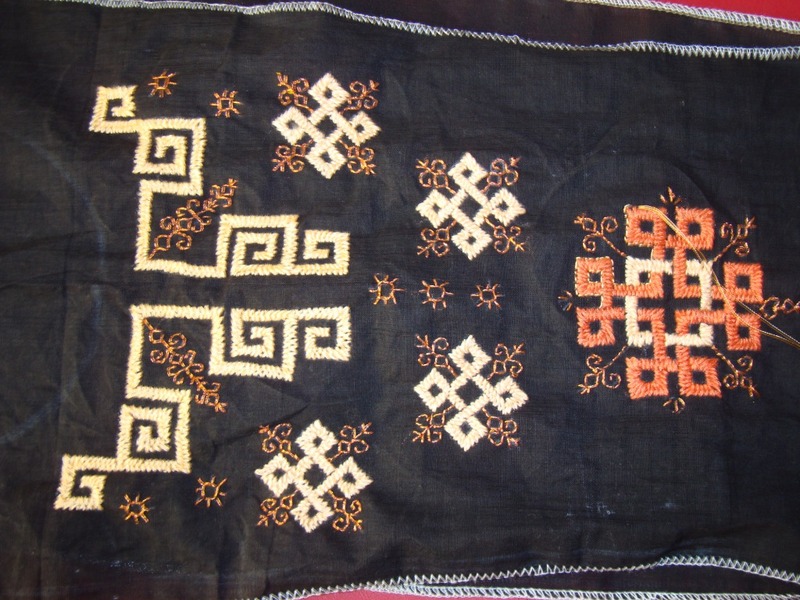 celtic motifs which can be embellished with beads. 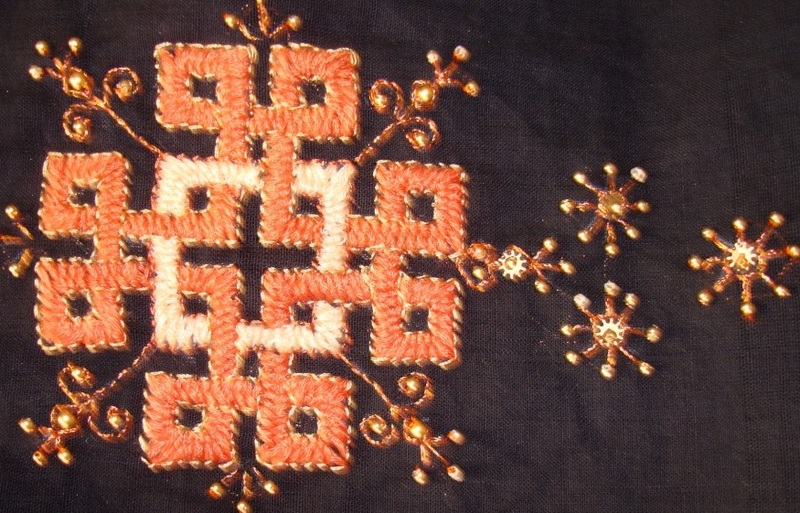 The other parts of the design were worked with back stitches in metallic thread.